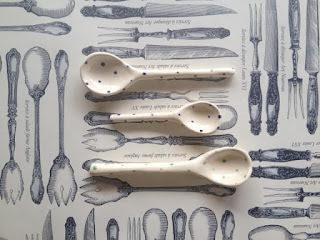 Yon Kavvas from @claybirdceramics has deliberated and as quick as a wink, come up with a winner for this month's comp! 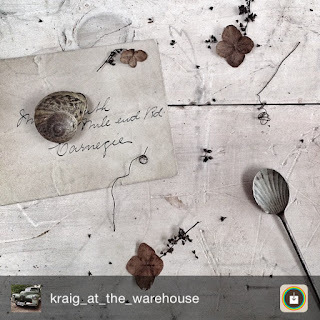 I must say this was a favourite of mine too, so I am delighted to announce that the winner is @kraig_at_the_warehouse. Craig was a winner of #7vignettes the first time he joined in, so definitely a creative with an eye for mood styling to watch. We love your entry Craig - Congratulations! "This one made we go - wow! The composition of clover, pea tendrils, snail shell, shell spoon even down to the withered background. It had an old world flavour and subtly that made me feel transported to another time. Thank you for this wonderful picture. You are my winner." And of course we always have some special mentions. 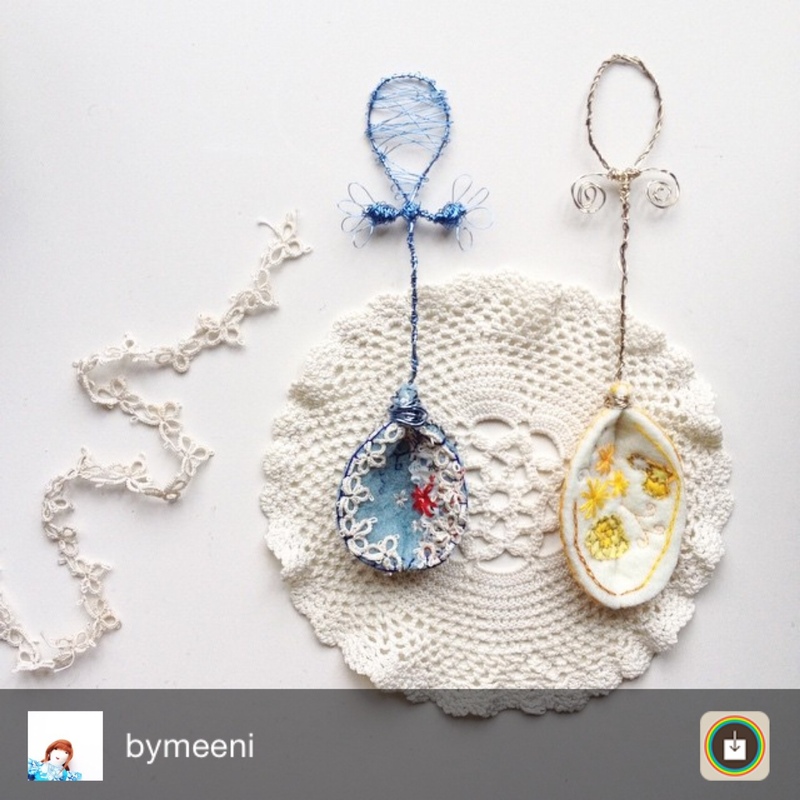 @bymeeni - who also got a special mention last month! 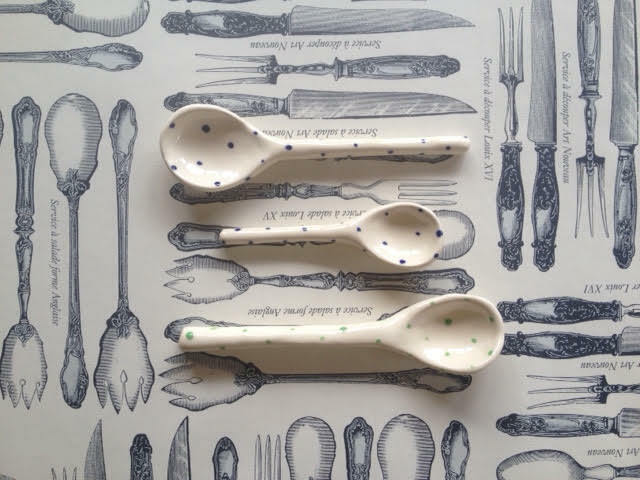 Yon remarked - "Gorgeous handmade spoons. Like me, I'm a sucker for a handmade spoon no matter what the medium is. Beautiful intricate work here. 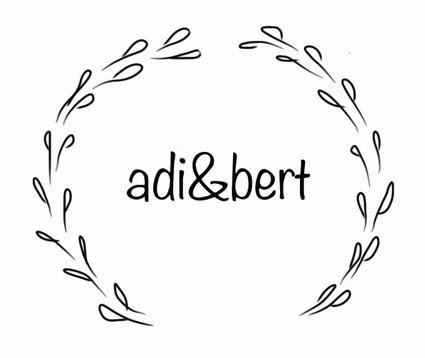 "Sew clever" indeed, @adiabert!!" 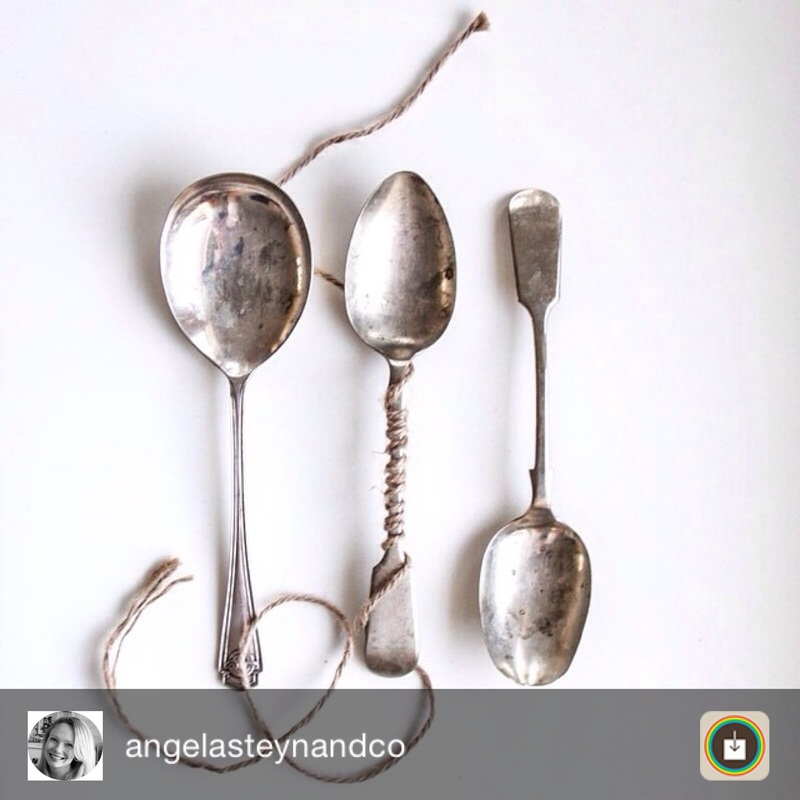 "Lovely trio of old silverware with the simplicity of the twine wrapped around the neck of the spoon. Simple. Elegant. And just so." "The blue/white/gold combination from @smallacornsamanda. The textures, patterns and bling of the gold made for a wonderful scene. 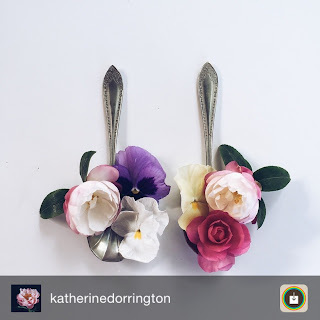 Beautiful spoons too!!" And @katherinedorrington - I really loved this one. Id say these were "bloomin' spoons"!" Thank you to everyone who entered and to Yon Kavvas @claybirdceramics for judging and providing the prize. I could definitely see how passionate people were about their spoon collections. Loved this month's entries! Hope the rest of your month is fabulous. I must be missing playing with clay, because this is the third time I am teaming up with a ceramicist to run a competition. I'd like to introduce you to Yon Kavvas, the creative maker of Claybird Ceramics. Yon has been playing with clay on and off for 10 years now. She studied hand building, slab and slip casting techniques using all three methods when making her porcelain ceramic range. Her designs are fresh and simple and have a genuine handmade quality. The bowls emblazoned with gold lustre are especially beautiful. Yon has a studio in Auckland, New Zealand and I have seen her lovely work first hand at local markets. To see her work for yourself, visit her website http://www.claybird.co.nz/ and follow her on Instagram. Yon visits markets and has products in stores all over New Zealand including Little Beehive Co-op(Nelson), Hapa (Christchurch), Madame Fancy Pants (Wellington), Black Barn (Hawkes Bay), The Mandarin Tree (Gordonton), Mixt (Auckland), The MarketNZ (online), Alex and Corban Home (online) and a few more to come. 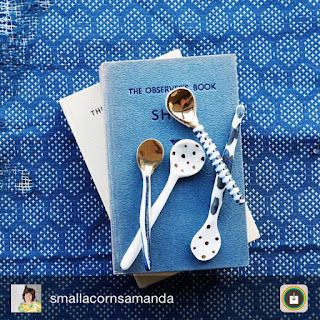 This month, you could win a lovely spotted spoon made by Yon by joining in my IG monthly photo challenge. 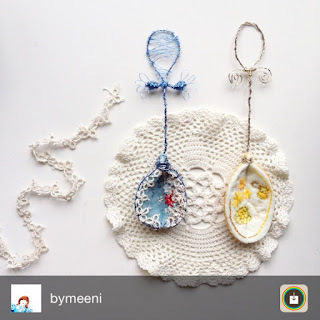 To celebrate her lovely design, I am bringing back the popular #thespoonseries tag again! So join in on Instagram. Snap pics with your phone or DSLR and join in the fun! Comp is open worldwide and closes on Sunday 14 June. Yon will judge the winning entry. Yon and I will be on IG looking out for your entries and featuring our faves!